A ranking of the best “leaps” in history. You may have heard Monday is “leap day.” Feb. 29 is the extra, 366th day of the year occurring every four years because of the timing of earth's rotation around the sun. I’m not entirely sure how the math on leap day works. All I know is if we are going to have an extra day of the year, it should automatically be a day off, not a Monday. Mondays are the worst. But if you’re feeling down that leap day has you working an extra shift, don’t worry—this list should cheer you right up. We decided to rank the best leaps in history. Leaping through spacetime? American television peaked almost 30 years ago. Free Willy is a potent, emotional film about a whale trying to reunite with its family. Willy literally had to leap to save his own life. This YouTube video, titled “BEST ENDING EVER - FREE WILLY” is not entirely wrong. This loses points for maybe not being a leap. Is it just a stretch? I’m not sure, but Jordan’s feet leave the ground and he eventually lands, so I’m calling it a leap. And this is by far the best dunk of M.J.’s career, real life or semi-animated. Have there been better NFL leaps? Actually yeah, there have been. Jerome Simpson from the Bengals immediately comes to mind. But no one wants to read about Jerome Simpson on leap day. This Cam Newton front flip—he allllmost sticks the landing—is worthy of the 366th day of the year. The serious injuries I would sustain while attempting to jump out of a pool don’t even have names yet. 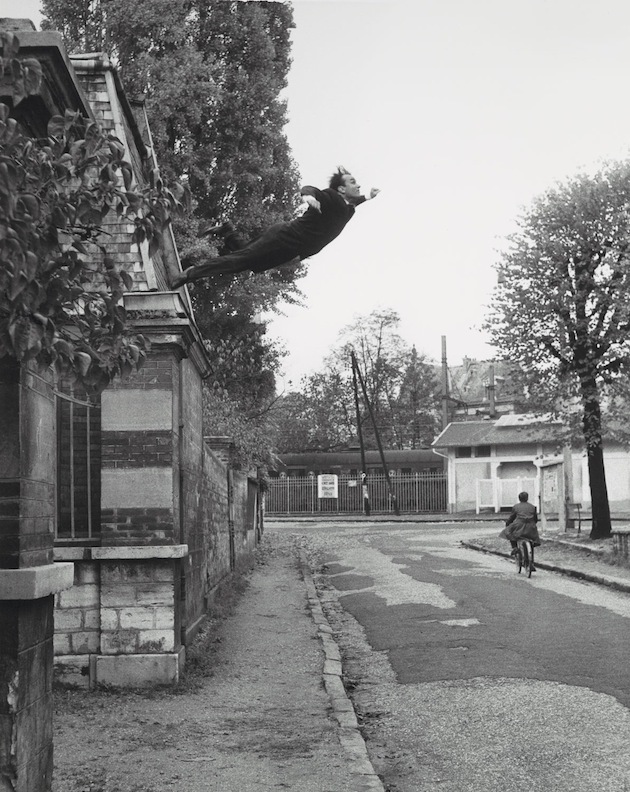 Klein’s famous photomontage is just one of many memorable works by the artist who led France’s Nouvau réalisme movement. Klein later invented his own color.